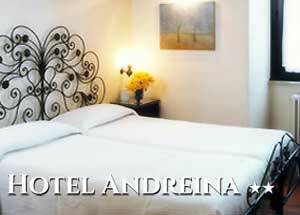 By car: The hotel Cherubini is situated in Rome at 77 Giovanni Amendola Street. 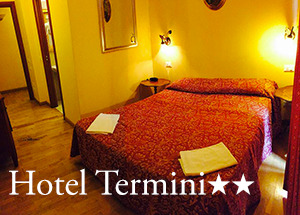 From Termini station: The hotel is only a 5 minute walk from Termini central railway station. Take the via Giolitti exit, walk on Via Manin, the first palace in front of you is the Hotel Cherubini. From Tiburtina Station: take the underground line B, direction Laurentina, to Termini stop. When you are at Terminal Railway follow the indications above. From Ostiense Station: take the underground line B, direction Rebibbia, to Termini stop. When you are at Terminal Railway follow the indications above. From Ciampino Airport: from a shuttle bus you can arrive in the streets near the Termini Station. When you are at Terminal Railway follow the indications above. From Leonardo da Vinci (Fiunicino) Airport: take the train shuttle that runs every 20 minutes which will take you to Termini railway central station.